Would you believe I slipped away from everything last weekend to commune with sheep? 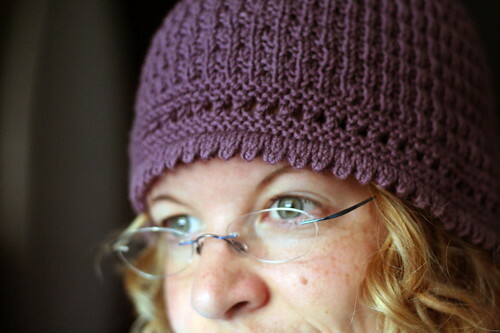 Actually, with knitters – and some of my favorite ones at that! 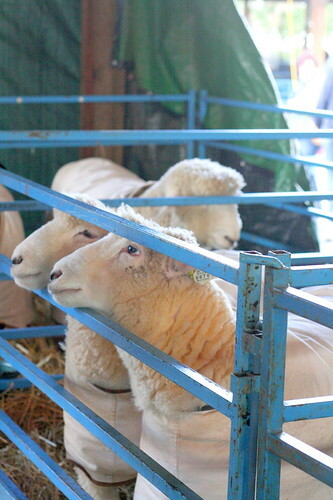 I made my first trip to Rhinebeck, NY for the New York Sheep & Wool festival. 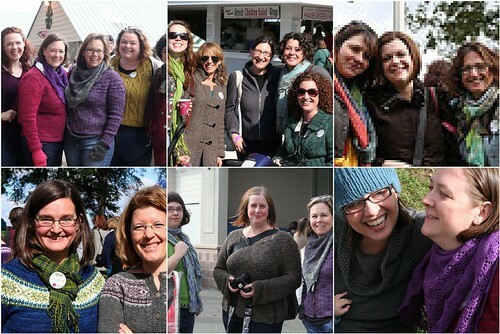 It was a fabulous weekend for a fiber festival, and the perfect chance to meet up with dear friends scattered about the country. To my surprise, I saw several Hallett’s Ledges walking around! I may have accosted perfect strangers for pictures of their sweaters. (Sorry about that, knitters. I hope you understand.) And, to my amazement (or horror), I returned home only two skeins heavier. 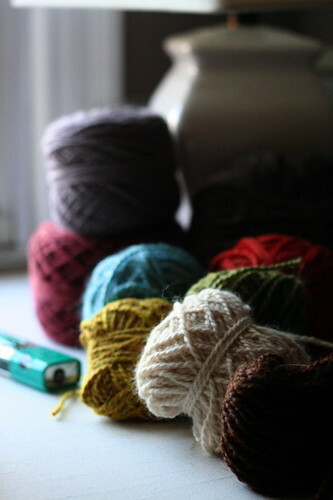 How could I go in search of yarn with so many friends to see? Although I’m still struggling to find time to weave in ends, sew on buttons, and block my growing stack of knits, things have improved a little bit. 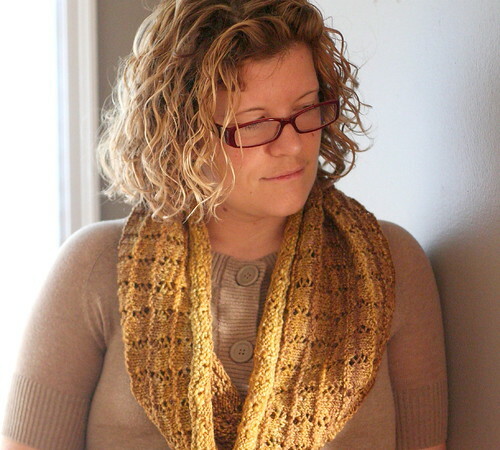 I quietly published a cowl pattern – Snows Creek – last week, using the yarn Stacey spun for me earlier this year. I wanted to find a way to use up every last bit of handspun, and this seemed a nice way to do it. 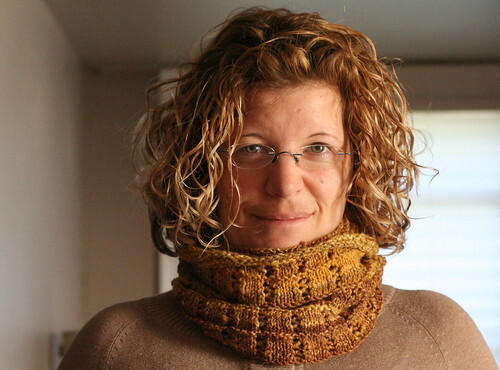 Plus, the cowl is long enough to double and wear more snugly around the neck. 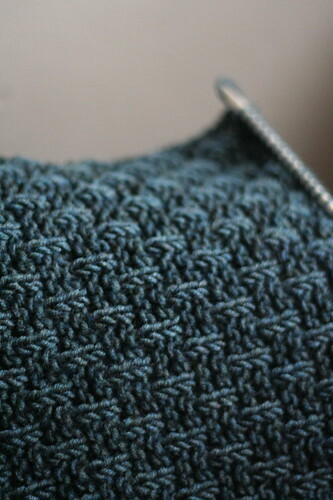 In addition to the cowl, there are some accessory patterns waiting in the wings. Not to mention the already blocked sweater expecting its seven buttons sometime this week.